Settling back in to life in Newfoundland has been quite the process. The pace of life here is so much slower than what I am used to in Toronto. I mean, I drove through the middle of downtown at 8:15 AM a few weeks back and I could have tossed a bowling ball down Duckworth Street and not hit anything. Very odd. In addition to getting used to a new/old city, we also changed our lifestyle in that we bought a house. No more apartment-dwelling for us. Nope…we bought a townhouse, ridiculously close to hubby’s work. As in, when he was in orientation, he came home for his coffee breaks. Yep, that close. 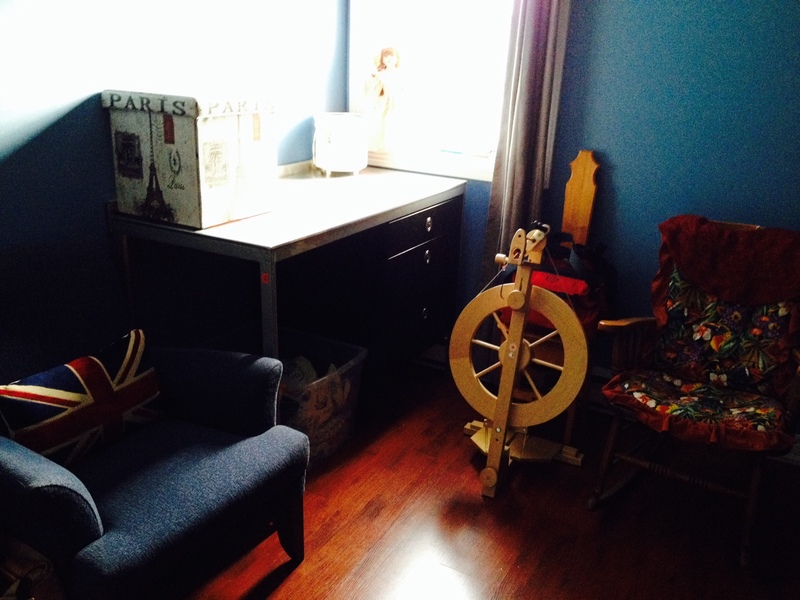 The thing I decided when we bought a house was that I wanted a craft room. In addition to my fibre-y pursuits, I also have metal-working tools, some polymer clay implements and supplies, and just a little bit of cross-stitch stuff from when that was my main hobby. 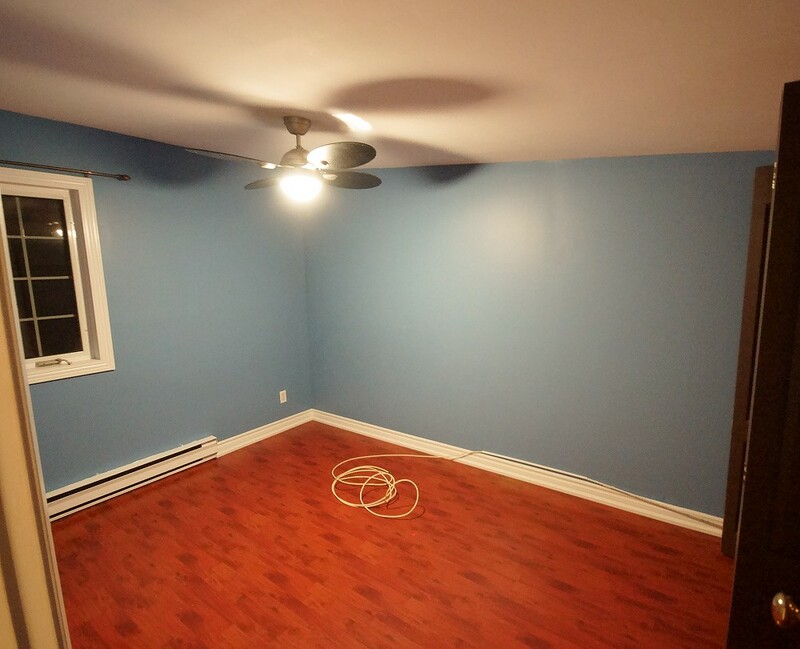 We chose the middle-sized bedroom, as the smallest room was set aside for my office, now that I am working from home. When we moved in, I had my Dad take a picture. 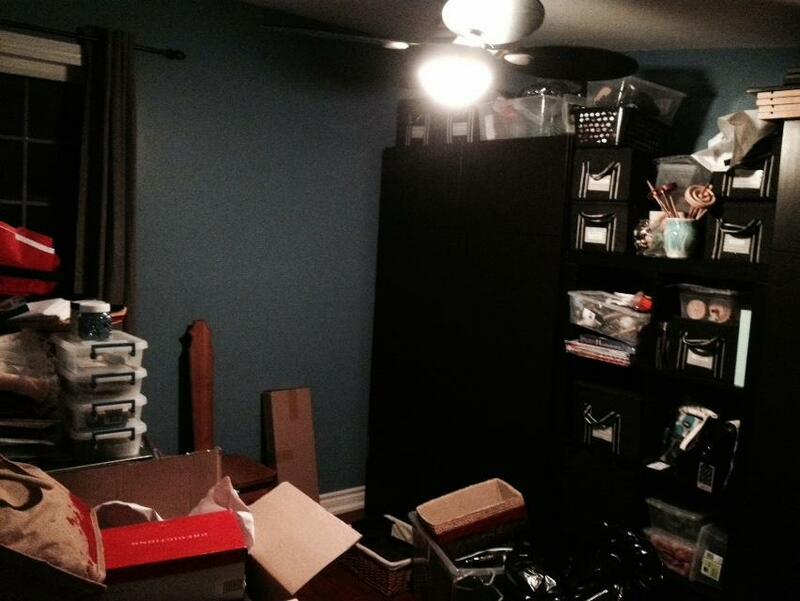 It was at this point that everything was in the room but that I was sure I’d never get it all together. I then started on the weekend and put some serious hours into it to get it finished and I have to say I am pleased with how it turned out overall. 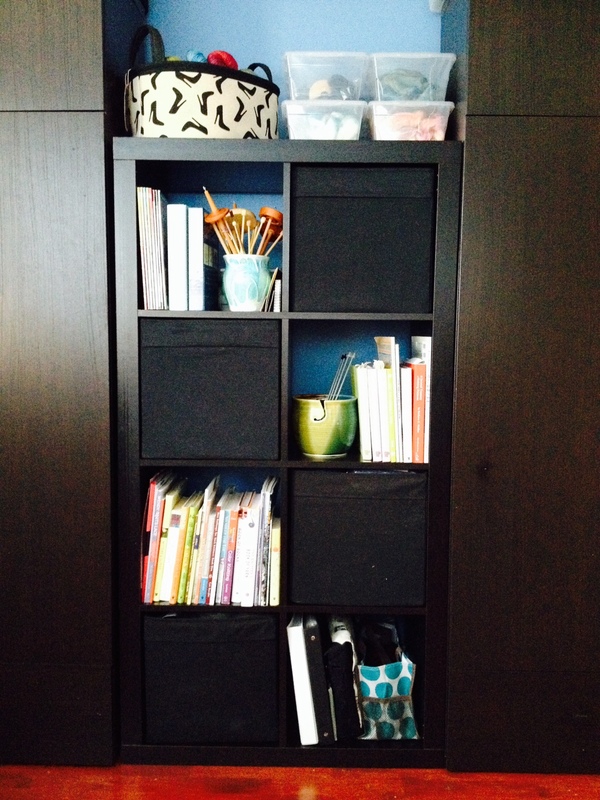 These two Besta cabinets and the Expedit in the centre pretty much hold all my supplies, books, tools etc. And what didn’t fit in them, did fit ON them. In the corner sits an IKEA kitchen counter that there is NO room for in my new kitchen so I have set it up as my dye station when I get back to dyeing yarn and fibre. On it lives my crock-pot and in the drawers are supplies and undyed fibres. Also inhabiting the room are an arm chair from my living room and some other special items. Those special items include my beloved maternal grandmother’s rocking chair, a reminder of my childhood days in her kitchen, that Mom and Dad kept for me here in their basement after she passed away in 1997. 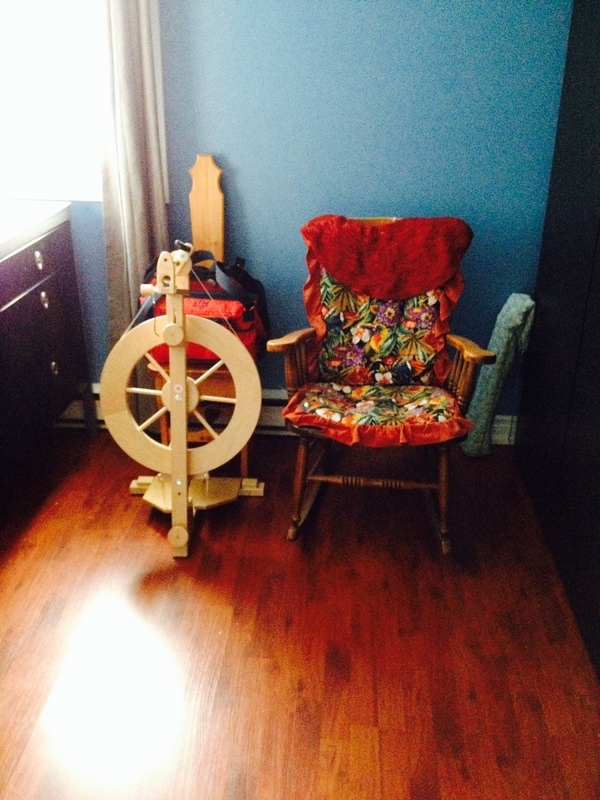 This room is also home to my much-loved Lendrum spinning wheel and my spinning chair, handmade by spinning guru Alvin Ramer before he retired a few months ago. There are still some finishing touches to be made…I need some craft-y art work for the walls and I still have an IKEA bench to set up with my ball-winder and swift so I will have a permanent winding station. All in all, though….this house might just be starting to feel like home. 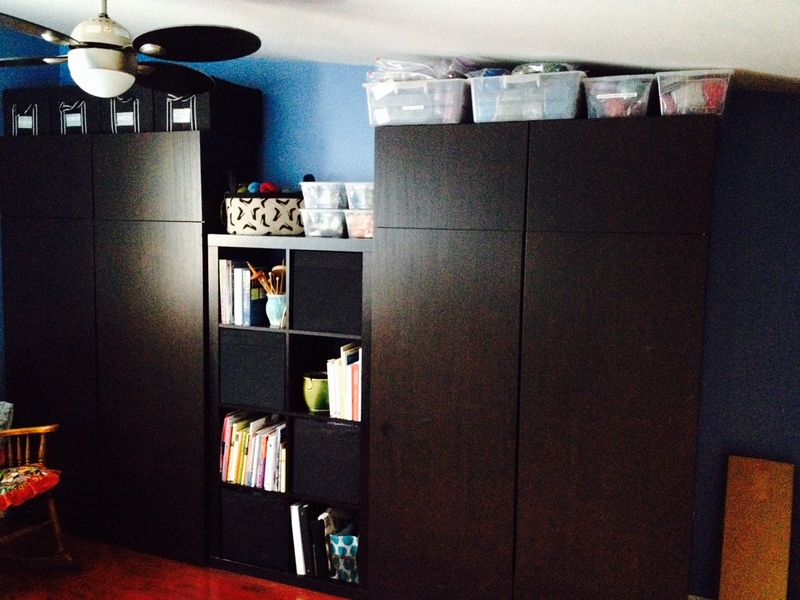 This entry was posted in Uncategorized and tagged crafting, craftroom, home, st john's by Rayna. Bookmark the permalink. Fantastic! I love that this room is coming together so nicely for you! What a lot of progress you’ve made! It’ll be so nice to have a special room for this work.